Anne Boleyn was very fortunate in her educational opportunities. 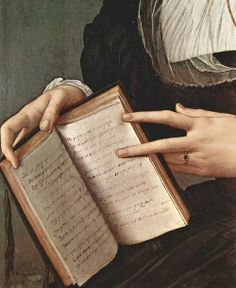 She lived in an era when education for women was becoming fashionable after a long dark age in which it was considered downright dangerous to educate a female. 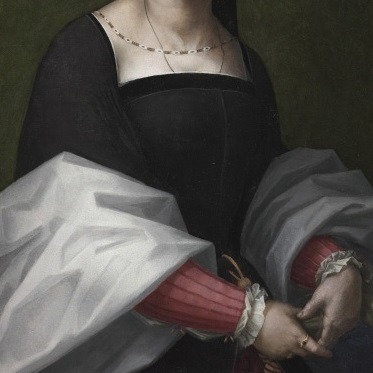 Katharine of Aragon had opened many doors for women’s education in England. 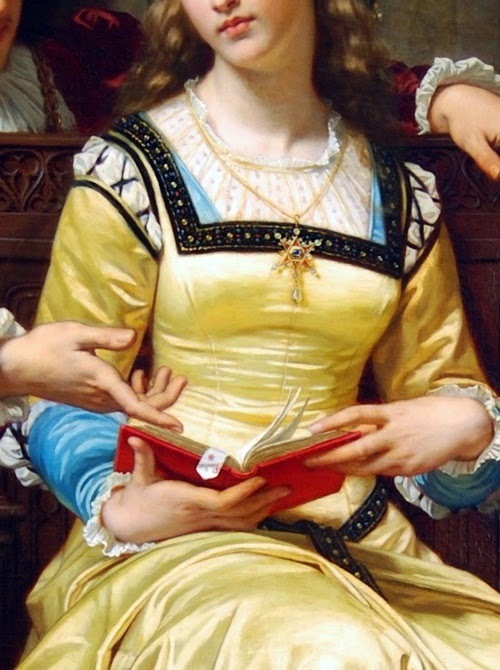 She was erudite, well-read, and pious. English scholars went agog when she came to England, and she soon changed their minds on the capability of women’s mental faculties, and of the wisdom of educating women. 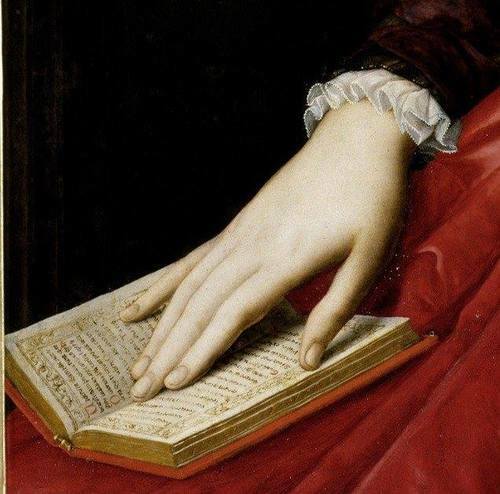 It was into this new era of educated females that Anne was born. Anne’s father, Thomas Boleyn, was a well-educated man himself. Erasmus dedicated his book on the Apostle’s Creed to him, and described him as “outstandingly learned.” High praise, indeed, from one of the era’s leading intellectuals. Thomas decided he wanted the best possible education for his daughters. It would give them better prospects for a position at court, and possibly lead to better marriages for them. And, like Thomas More, he may have been genuinely proud of his girls’ educational accomplishments. Thomas Boleyn became a friend of Margaret of Austria during his time as ambassador, and she agreed to take his younger daughter into her court, seemingly as a personal favor. Anne may have been younger than the average maid of honor at the time, because Margaret notes how charming Anne is for her “young age” in her letter to Thomas. Children in the Tudor era were often sent to other households for their education, ideally to one of a lord or lady of higher rank, where they could benefit from better tutors, and learn manners and the courtly arts. Anne had hit the jackpot by being accepted into Margaret’s court. 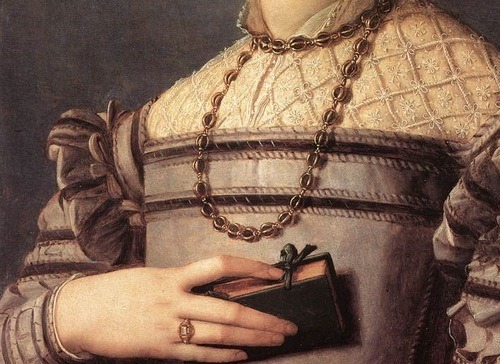 It was essentially her era’s version of an Ivy League university, where she received not only a stellar education, but on-the-job training for the sixteenth century’s version of the corporate ladder. Margaret commanded deep international respect for her intellect and her skills as a politician. Twice married and widowed with no children from either union, Margaret had vowed she was done with matrimony, and devoted herself to statecraft. She became guardian of her nephew and regent of his dominions. 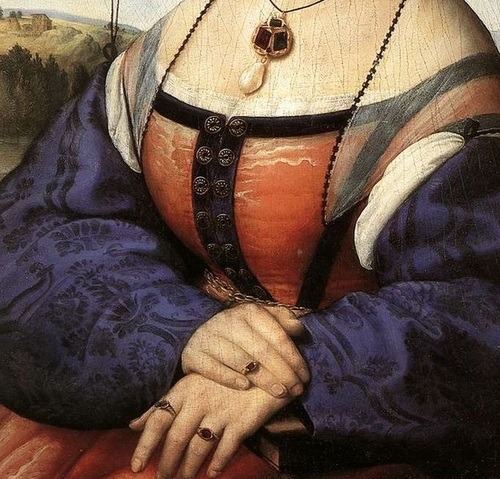 She was only woman to be elected as a ruler in her own right when she became the Governor of the Low Countries. The part she took in politics from the date of her investiture as Governess of the Netherlands until her death belongs to European history. By her talents, ability, and rare aptitude for business she eclipsed more powerful rulers, and soon became the pivot of political life in Europe. At her palace in Mechelen, she maintained an incredible library, and her court was visited by the most famous humanists of the day. She patronized musicians and painters, so her court was a lively place of learning, music, and art – a fertile ground where a bright mind like Anne Boleyn’s could grow. Whether Anne was only seven or fourteen years old, as others insist, she was spending her formative years in the company a woman who ruled quite competently in her own right, and had a passion for learning and the arts. It’s said that when Anne and Henry were remodeling Whitehall, Anne tried to emulate Margaret’s palace of Mechelen. 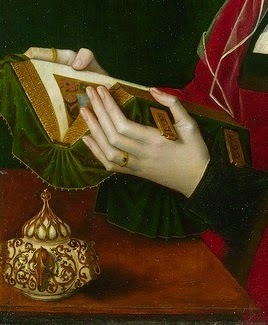 Anne was also later a patron of Flemish miniature portrait artists, which was the foundation of the art in England. But Anne did not stay long at Margaret’s court. 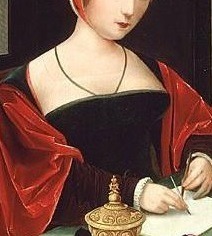 A little over a year after she had been placed in Margaret’s care, Thomas Boleyn wrote a letter asking Margaret to release Anne from her service. 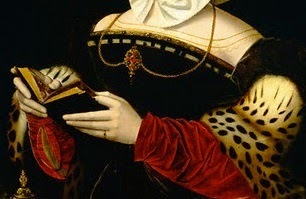 Princess Mary Tudor was being sent to wed the elderly French king, and Anne had been selected to serve her, likely because she was fluent in both English and French. Thomas writes in an apologetic tone that he did not know how to refuse the offer, and so Anne must go. We know nothing of Anne’s short time serving the new Queen Mary. The records are silent. It seems likely that Anne was one of Mary’s peripheral servants, and their contact was slight. Later in life Mary would refuse to attend Anne Boleyn’s coronation, but it wasn’t necessarily because of a history of personal dislike between them. Mary was a fierce partisan of Katharine of Aragon and saw her brother’s marriage to Anne Boleyn as sinful. After the soon-widowed Mary returned to England, Anne remained behind to serve the new queen, Claude. Why she remained behind when the other English ladies returned, we can only speculate. Perhaps Claude liked Anne Boleyn and wanted her to stay. Claude was very young herself, only fifteen years old. Salic Law had prevented her from inheriting the crown when her father – Mary’s husband – died. Claude’s husband (also her cousin) inherited it in her stead, and became King Francis. Anne’s sister, Mary Boleyn, was also at the French court between 1514 and 1519. It was said she became the short-term mistress of King Francis, though it’s impossible to say whether it really happened or was merely a rumor later created to slander Anne. If Mary was Francis’s mistress, how did Anne feel about it? Was she outraged on behalf of the sweet, pious Claude? Mary was sent home to England in 1519 – in disgrace, writer M. L. Bruce claims – but Mary went to the court as a maid of honor to Katharine of Aragon instead of home to Hever, so disgrace doesn’t seem the likely motive. Claude was not a glamorous queen. She was very short of stature and afflicted by what was likely juvenile onset scoliosis (the same ailment which affected Will Somers, my hero in Under These Restless Skies.) She was once bluntly described as “delicate, plain, and lame.” Despite her poor health, Claude would give her husband seven children during their ten year marriage. 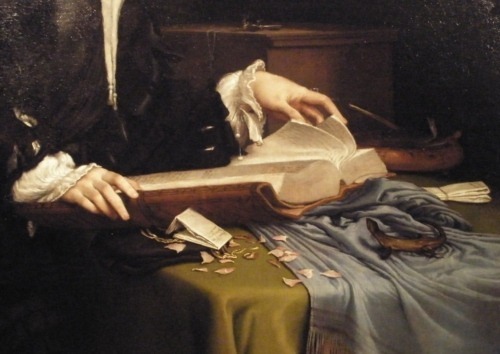 Descriptions of Claude laud her piety and good works, as well as her gentle nature. But she was strict when it came to moral decorum in her court. In some respects, Anne’s court would resemble Claude’s in the queen’s insistence on circumspect behavior and religious devotion. Claude was also an art lover, and Anne Boleyn would later have illuminated manuscripts made in the same style that Claude favored. Leonardo da Vinci lived near Claude’s court at Chateau Blois, and Eric Ives thinks it’s highly probable that Anne met him. 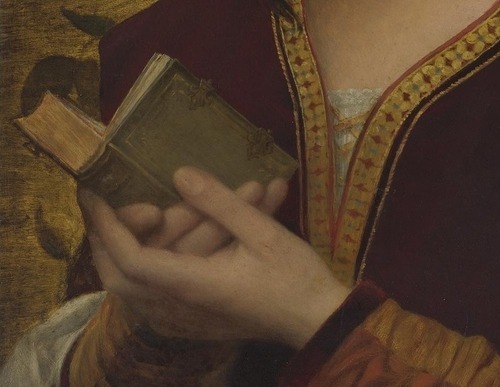 Anne likely attended Claude’s coronation at St. Denis in 1516 and may have went with her to the Field of Cloth of Gold in 1520 because she could translate. Anne’s father, brother, and sister Mary were all at this event, so it must have been a joyful family reunion. Surely the Boleyns must have been impressed with Anne, and the continental polish she had acquired. Claude was not the only woman at the French court who provided Anne with a role model. 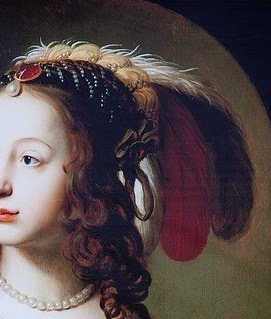 Anne later expressed strong affection and respect for Margeurite d’Angoulême, the king’s sister, who may heavily influenced Anne’s reformist faith. Margeurite was a poet and playwright of renown, author of The Mirror of the Sinful Soul, a manuscript that Anne’s daughter, Elizabeth would one day translate as a gift for her step-mother. Margeurite’s work expressed reformist ideas that offended the old-school Catholics. Her brother, King Francis, had to force an apology from a monk who said she should be sewn into a sack and thrown in the Seine, and a college class that essentially satirized her as a hellbeast. Margeurite was a protector of reformists and tried to dissuade her brother from intolerant policies. 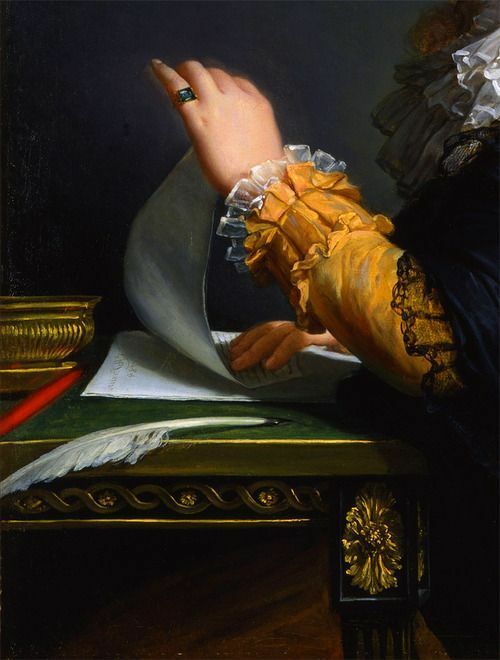 Marguerite was also strongly influential in the politics of the day. She worked in diplomacy, at one time negotiating the release of her brother, who had been captured by the Holy Roman Emperor Charles V. She was a patron of the arts, and supported writers. The king’s mother Louise served as the king’s regent during his absences. 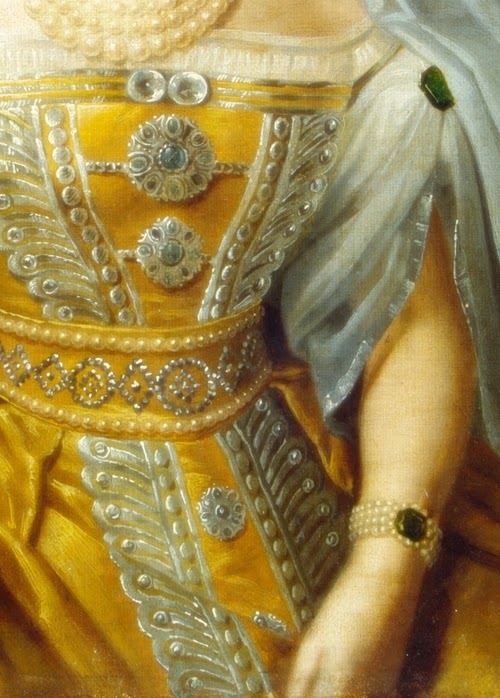 She negotiated peace treaties, and began building the Franco-Ottoman alliance, and so Anne would have learned much from watching this example of female political power. Louise was once painted literally taking the rudder, with Suleiman the Magnificent lying at her feet. Louise had lost her parents at age seven, and had been married at age eleven, though the marriage was not consummated for a further four years. After her husband died, she tried to solve an inheritance dispute over the Bourbon duchies by proposing to Duke Charles III. When he insultingly declined her proposal, she set out to destroy him, using every bit of power and influence she had to undermine him until he lost his lands. When he rebelled against the king in consequence, he was crushed. Intellectually curious all her life, she died in 1531 from a cold she caught while studying a comet. 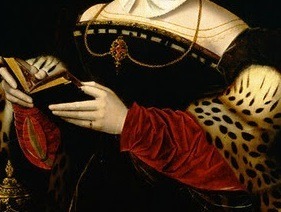 Anne was called home from the French court in 1522 because her father was negotiating a marriage for her. She had gone to Margaret’s court a young girl who spoke clumsy French, and left an elegant courtier. She could now speak French like a native, played several instruments, was well-read, and a witty conversationalist. Anne was instantly popular at court, and the young men are said to have swarmed around her, despite the fact she was not a conventional beauty. 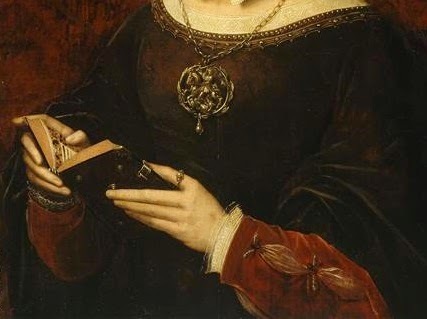 Anne always remembered her time on the continent fondly, and her own reign would exemplify the qualities she had learned from Margaret, Claude, Margeurite, and Louise. She had seen how women could exercise power in the mostly male political sphere. She saw their triumphs and mistakes, their fortitude and grace under fire. These were not the passive, silent queens of the past, but women who were taking an active role in shaping the world. These four exemplary examples of female rulers helped shape the young Anne into the courtier – and the queen – she would one day become. Anne’s court was a lively place of art, music, and literature, but while it was glamorous and fashionable, it was also pious, and Anne was strict about moral decorum in her ladies. And while Anne was the “glass of fashion,” leading her court in revelry and patronizing artists, she was also helping to guide England’s policy, meeting with ambassadors and council members, and laying the foundation of the Church of England by appointing reformist bishops to key positions.